This page is just a glimpse of the latest 20 blogs from our Official Blogger Blog. You can visit us at Blogger by using this link. We try to blog at least one tweet a day to keep you sweet! Itâ€™s Awards Season for Pyronix and the Enforcer! Following the announcement of the PSI Premier Awards win for the Enforcer, The European Business Awards (www.businessawardseurope.com) has announced today that Pyronix Ltd and the Enforcer are to represent the UK as a National Champion in the prestigious 2013/14 Awards programme in the category of the UKTI Award for Innovation. The European Business Awards has identified some of Europe's brightest businesses based on their ability to demonstrate the three core principles at the heart of the Awards programme: innovation, business excellence and sustainability. The European Business Awards is dedicated to raising the visibility and progress of companies who excel in delivering innovation twinned with successful commercial results. 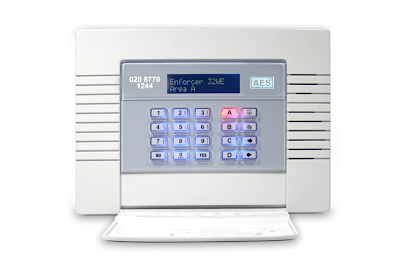 Enforcer is a winner again - PSI Magazine "Intruder Alarm Product of the Year 2013"
The awards continue for the Pyronix Two Way Wireless Enforcer. The Enforcer two way wireless alarm system picked up another award, this time at last nightâ€™s PSI Premier awards ceremony held at the historic Brocket Hall in Welwyn. The evening, attended by snooker legend Dennis Taylor, celebrates the great and the good of the security industry and the products that have caught the attention of the market this year. By allowing installers to vote for their favourite product and therefore determine the winner, the PSI Premier Awards are a much coveted accolade. We are aware some customers would like to buy kits with a Deltabell, but not necessarily with blue or red bases, therefore we have taken the coloured bases out of the kits (as well as the price difference) and replaced it with a Deltabell module only. The detectors in the kits will now all be KX10DP-WE, however these can be converted to KX12DQ-WE by simply removing the pet mask in the lens. Also changing in the kits will be the MC2-WE, which will now be replaced with the MC1 MINI-WE, the all new mini magnetic contact from Pyronix. With this in mind, please see our PDF guide on how this change will affect you, and which kit you should purchase from the launch date. *(Please note the new kits may take several weeks to filter through distribution whilst the current version of kits are being exhausted). All open days are held from 8:30 am to 12:00 pm, and refreshments are also available. Have you heard...? The closing date for votes for this year's PSI Award nominations has been extended until 28th June 2013. Head over to their website and vote for the #Enforcer Wireless Control Panel today! Another testimonial has just arrived in our inbox... this one from Mark Ashell of Unique Integrated Systems Ltd (Lancashire). I am delighted to let you know that we have now successfully moved across to using the Castle EURO 46, with the wireless expander (EURO-ZEM32-WE). As you know I have never been a fan of wireless equipment but after speaking to our engineer I am having to eat my words! Our engineer has never installed a Castle panel before but found it very easy to install and the menu structure very intuitive. Our customer is more than happy with the system and found it simple to use. In short a good "engineer friendly" product. For the PC we have the award winning Euro InSite UDL Software, now in its 21st year. Virtual keypads let you control the system as if you were on site, ARM takes maintenance to the next level by automatically emailing you reports at a frequency suitable for your company and thorough diagnostics lets you know what is going on in the system right down to the nut and bolt level with resistance/voltage and current reading for all peripheral devices. For multi-platform use, including mobile devices we have the Remote Reset Software allowing you to remotely reset a customer's control panel over the phone if they had a break-in or fault. To sign up for a password to log-in and download these great offerings of free software, click here. 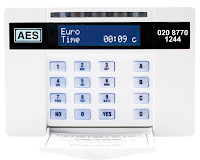 With improvements to communicators being made over the years, with more channels being available, the output configurations of Euro Alarm Control panels have changed throughout the last decade. We have supplied the technical sheet at http://www.castle-caretech.com/manuals/tn-loom.html to help you work out which colours of the loom go to which inputs on the communicator (by default, although these can be changed easily in the engineer menu). You will need to log-in using your standard username and password to access this sheet. Unsure who your local port of call is when you need technical or sales assistance. 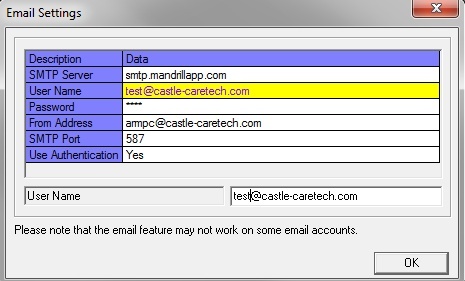 We have account managers throughout the UK, and full details of the postcode areas they cover can be found on our website (http://www.castle-caretech.com/castle-sales-team-reps.php). Come and see the latest products that Pyronix and Castle have to offer. Demos will be shown throughout the morning by your Area Sales Manager Bryan Evans and refreshments will also be available. See you there! If you require further information regarding this open day please contact Bryan Evans on 07802 495 334 or you can also contact Bill Howie on 0131 662 4082. Dates: Wednesday 8th, 15th, 22nd and 29th May 2013. Castle are over the moon with the Enforcer being nominated for a second time at the PSI Awards. Please click here to vote for the Enforcer, 2013 Intruder Alarm Product of the Year. You can read all about the great specs of the Enforcer here at our website. 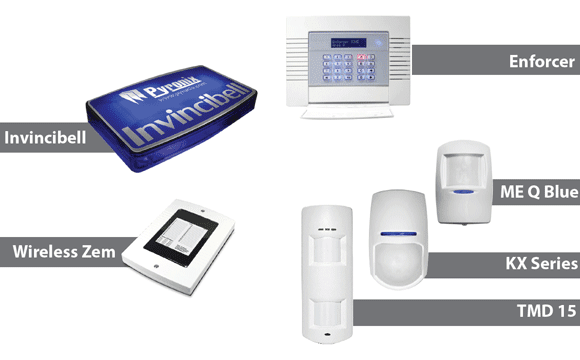 I have been using Castle Euro range of control panels for several years now. I am very happy with the panel range but it was missing cost effective reliable radio. Well now I am blown away by the new ZEM 32 WE RF receiver and Enforcer peripherals. This is so easy to use with the one push to learn and the two way signal strength indicator means you can install with confidence that the system will work. Well done to everybody at Castle and Pyronix. For many more testimonials and reviews, head over to our website. 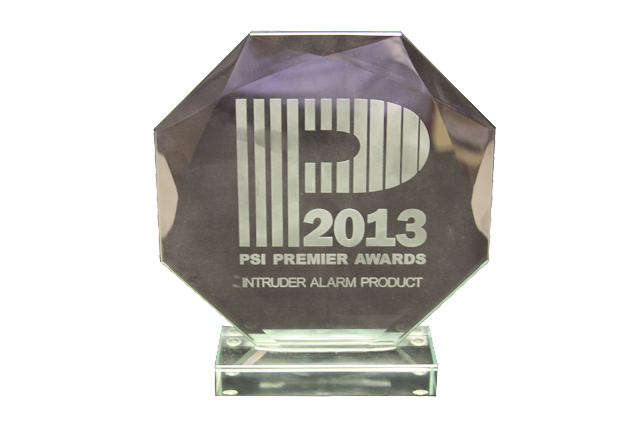 Castle's Enforcer Wireless 868MHz Control Panel has been nominated at the PSI Magazine Awards 2013 in the category "Intruder Alarm Product of the Year". We're delighted and would love you to vote for us by clicking here. We are delighted to announce that the Enforcer two way wireless system has been shortlisted as a finalist in this yearâ€™s PSI Awards in the category of â€˜Intruder Product of the Yearâ€™! Firstly we would like to say a huge thank you to everyone for championing the Enforcer for this fantastic award. The awards ceremony in July will showcase the best and brightest from the Security Industry and we need your help to make sure that the Enforcer two way wireless alarm system takes its rightful place as the intruder product of the year. With no other intruder product on the market like it, the Enforcer is the only choice for the PSI 'Intruder Product of the Year' Award 2013! 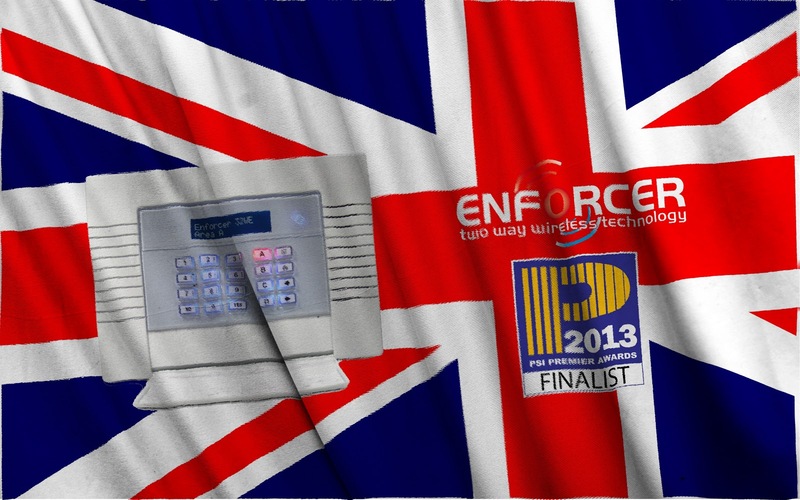 Vote for the only privately owned British manufacturer of intruder products. Register your vote now by clicking the below link! For more information on the Enforcer and how it could revolutionise the way you do business, visit our website today. Alternatively, why not join our Enforcer Club by texting 4ENFORCER to 88802, for FREE product and training updates, the chance to win an Enforcer demo kit each month, and preferential rates on screen printed Enforcer windows! We are pleased to announce the following Open Day, on Monday 22nd April in Enterprise Security Distribution in Salford, 8:30am to 5pm. For details of all of our open days visit http://www.castle-caretech.com/trainingdates.html. Come and see the latest products that Pyronix and Castle have to offer. Demos will be shown throughout the day by your Area Sales Manager Mark Blackledge and refreshments will also be available. See you there! 100% positive feedback from customers. "Feed back from customers is 100% and to date we have not had one complaint or call back to sites to rectify any problems, we have now started to connect via the output module and supporting PSU to Redcare and the results have been very positive from the engineers and our sales teams." You can read the full testimonial here on the Castle Website. One of the most common questions asked about legacy Castle Care-Tech panels is "What do the Numbered Fault messages mean on the keypad display?". Please visit our legacy product page for a full list of obsolete products and support. We at Pyronix and Castle are delighted to announce that we will be showcasing our Euro range of control panels at the WebWay UDL seminar, taking place tomorrow in Exeter. Come along to see the Euro range in action, and discover how simple and user friendly the systems are, and how easily you can incorporate WebWay into your Euro control panel. By connecting the WebWay to the serial connector of the Euro control panel, the data is transmitted over IP or GPRS. No need for modems, dial capture or PSTN calls. The seminar will provide an insight into fast and secure remote access to both the transmission system and alarm panel, plus the latest BS8418 dual-path open standard Image Verification. 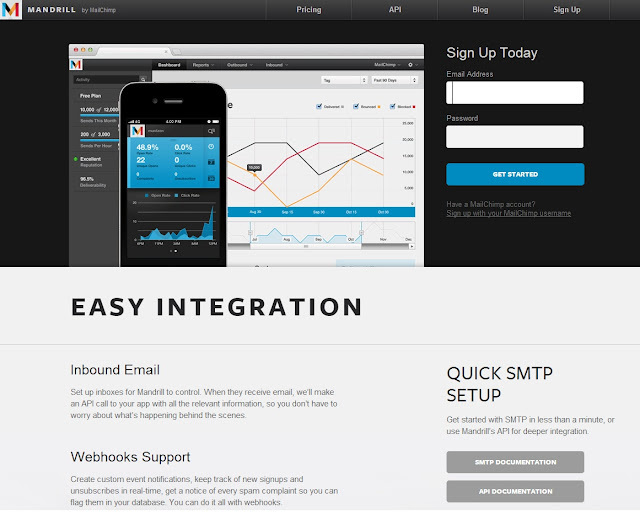 More and more installers are turning to WebWay for solutions which they can use today. WebWay has been delivering UDL over GPRS and IP networks for the past ten years to leading National and International installers. Please visit www.webwayone.co.uk/events for full details and itineraries and to book yourself onto the event. All open days can be found on our webpage at http://www.castle-caretech.com/trainingdates.html. Another great new testimonial just in, from Barry Forsyth, Managing Director of AES Security Systems. â€œ Just a brief note to thank you and your team for producing some really great advertising inserts for both the Enforcer & Castle keypad... great. Why not take advantage of having your name illuminated in your locality. Can you tell if an alarm bell box is a dummy? Dummy bellboxes are a great way of increasing the security on your property and raising the visual deterrent. They actually appear no different from the standard bellbox, and even have flashing LEDs inside so that to anyone looking, it will look just like a live box. Is this Deltabell live, or is it a dummy? There's no way of telling them apart without looking inside! We currently have 17 testimonials and reviews of our products on our website which you can read in full. 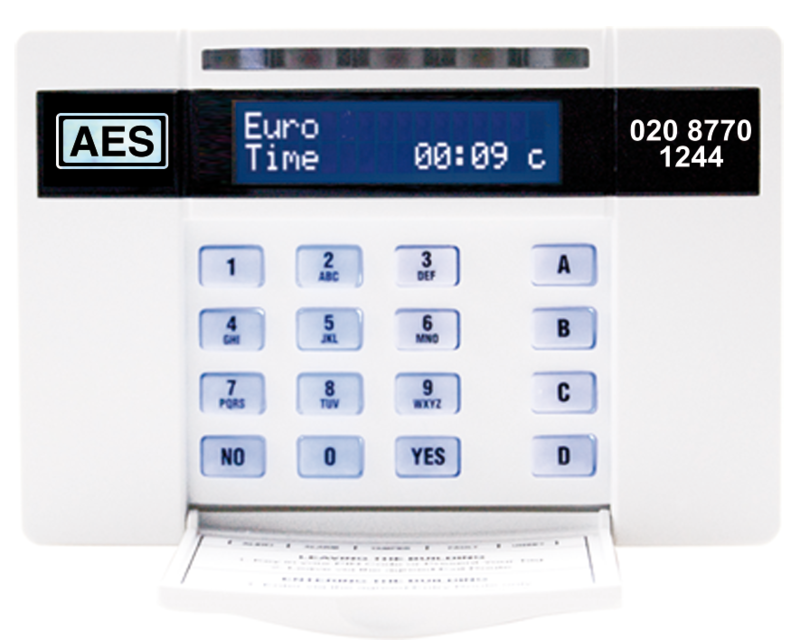 Here is a summary of what people are saying about the compact hard-wired Euro Mini (EoL or Double Pole) Grade 2 Burglar Alarm Control panel, approved for installations by the SSAIB and NSI. "We are mainly installing the Euro Mini and Euro 46. Before this we used to install the Honeywell Galaxy alarms. Another benefit of the Castle alarms was the increase in profits. We would recommend the Euro range to everyone as a really good wired intruder alarm system." "The Castle Euro Mini is a brilliant panel, I have been using them for three years and have found them extremely reliable. Having 10 wired inputs on the panel more than cover most houses, the blue LCD keypad looks great and I can add a proximity version if my customers want to use prox tags. I especially like the Intelligent set feature, which is ideal for house systems with full & bed set options, my customers simply enter a code number or show a tag, then go to bed or go out the house, the panel is clever enough to know if they open the final exit door and decides for them to either full or part set the panel it works a treat!" "We have now been using the Euro 46, Euro Mini and Mini Prox systems for a many months after finding another manufacturer being too expensive to win jobs. After enquiring at our wholesaler about different manufacturers Bryan Evens (sales rep) came and spent a couple of hours with us going through the different panels and we were really impressed with them. It wasn't down to cost of the products that was a bonus, but it was the real quality and capability of the Euro panels that we liked." 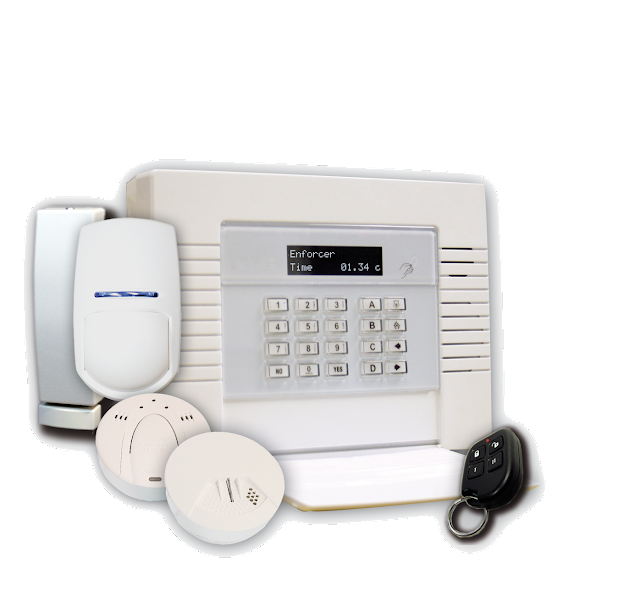 Just how small is a wireless burglar alarm? 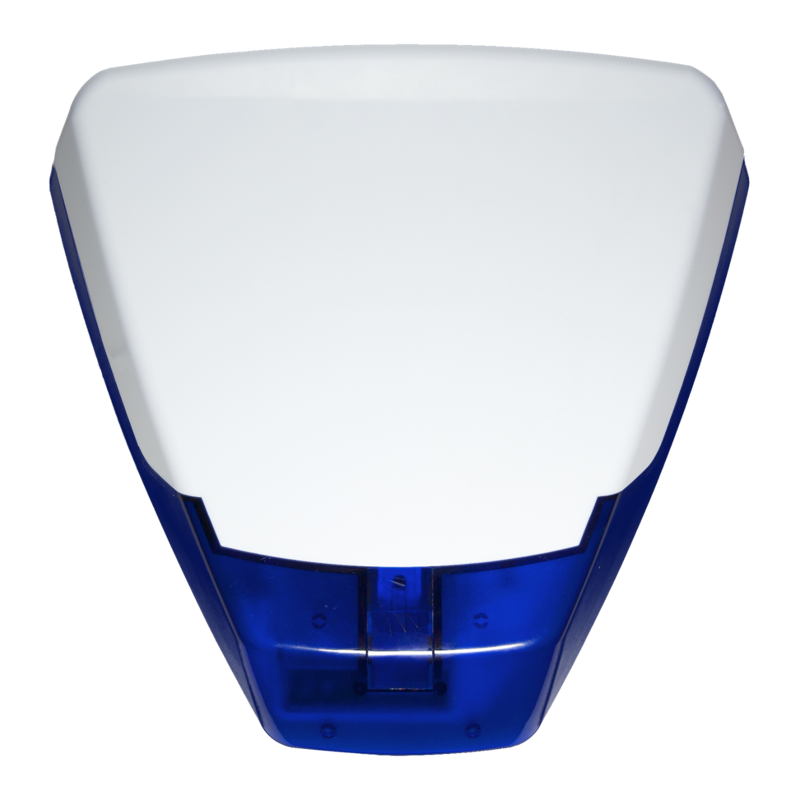 The Enforcer Two Way Wireless Compact domestic intruder alarm is quite small. Smaller than a sheet of A4 paper in fact (but thicker, of course) measuring just 220x160x50mm. The small size makes it ideal to be installed in discreet locations where space is at a premium and won't spoil the overall look of your decor. Sending InSite ARM Report Emails through the Mandrill Web Server. 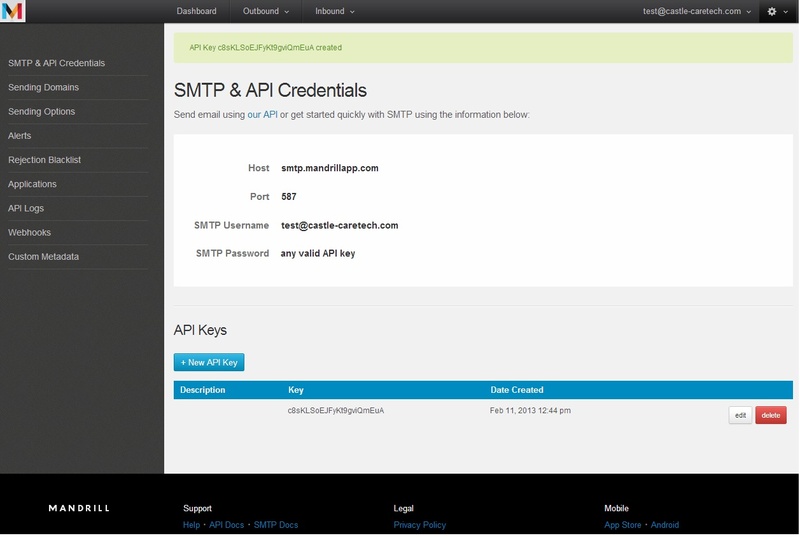 Mandrill (by MailChimp) offer a free SMTP service of up to 12000 emails per month, above which you would need a paid subscription. To configure InSite follow the procedure in this guide. 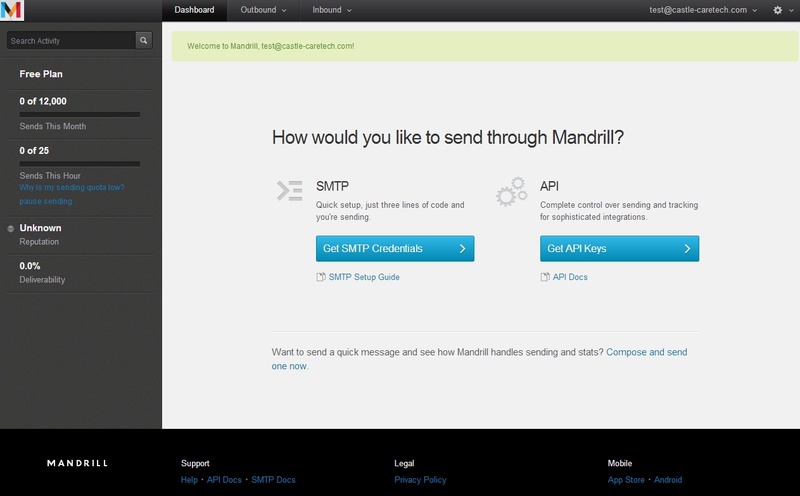 Go to www.mandrill.comand press the â€œsign Upâ€� button, using your email address and create a secure password which includes letters, numbers and symbols. 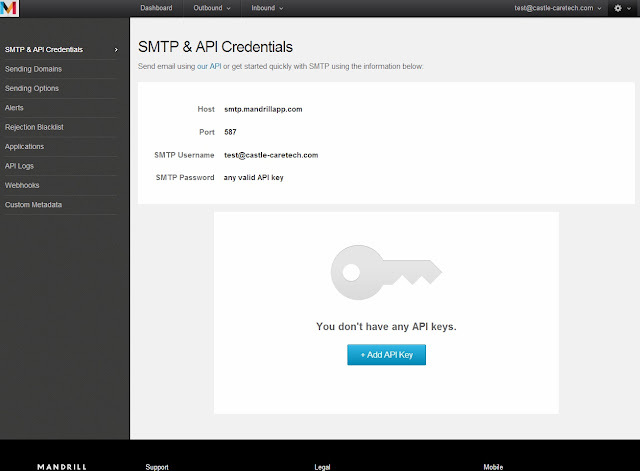 The Password is the long API key generated in the previous step. Enter this carefully, paying attention to the number 1, the capital i and the lowercase L which can look very similar. You can specify your own â€œFrom Addressâ€�. â€œUse Authenticationâ€� must be set to â€˜YESâ€™.